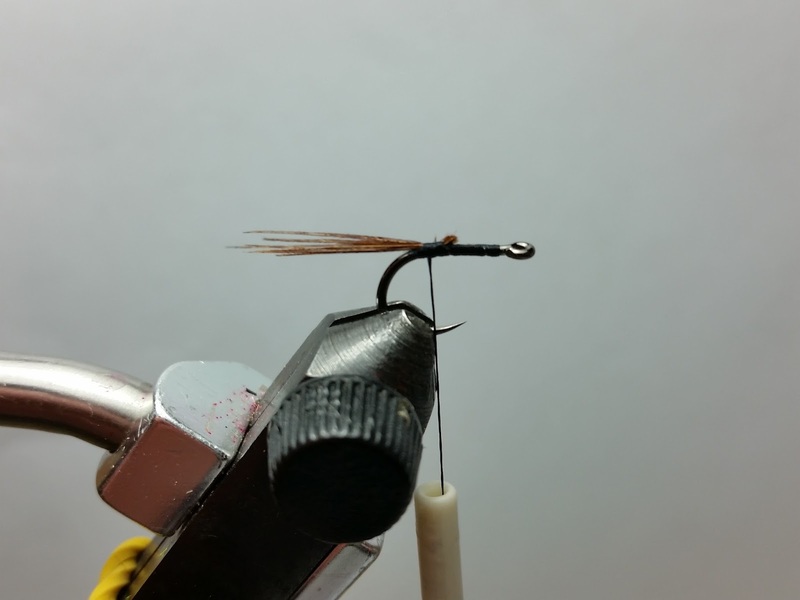 Soft hackle flies are one of the best weapons to target carp. 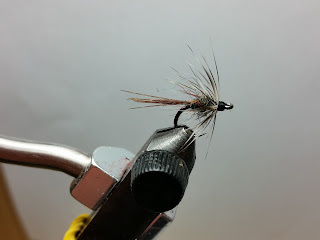 Small soft hackle flies imitate all sorts of forage depending on how they're presented (including, but not limited to emerging nymphs, midge clusters, spent mayflies, swimming nymphs, tiny bait fish, etc). No fly lands as softly as an unweighted soft hackle, another great perk for targeting spooky carp. 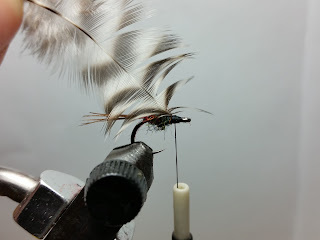 Body: Black color Mr. Peacock Dubbing (Fly Tyers Dungeon). 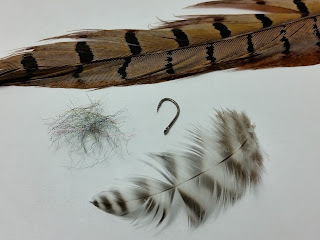 Collar: Grizzly hen saddle hackle. 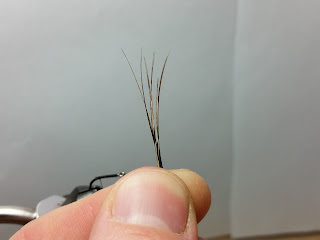 Trim 6-10 fibers from the pheasant tail. Align the tips and roll them between your fingers. 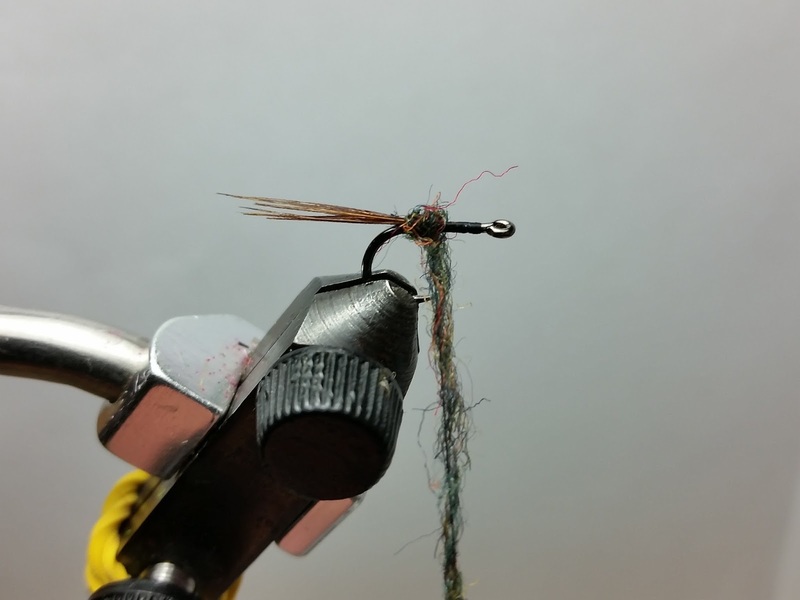 Lash down the fibers on top of the hook shank. The fibers should be about one hook shank long. 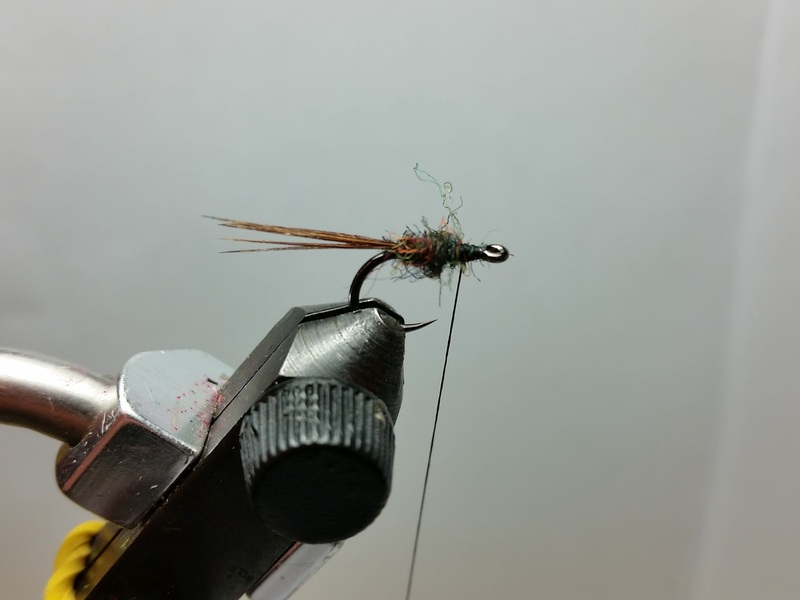 Start a thin dubbing noodle at the base of the pheasant tail fibers. 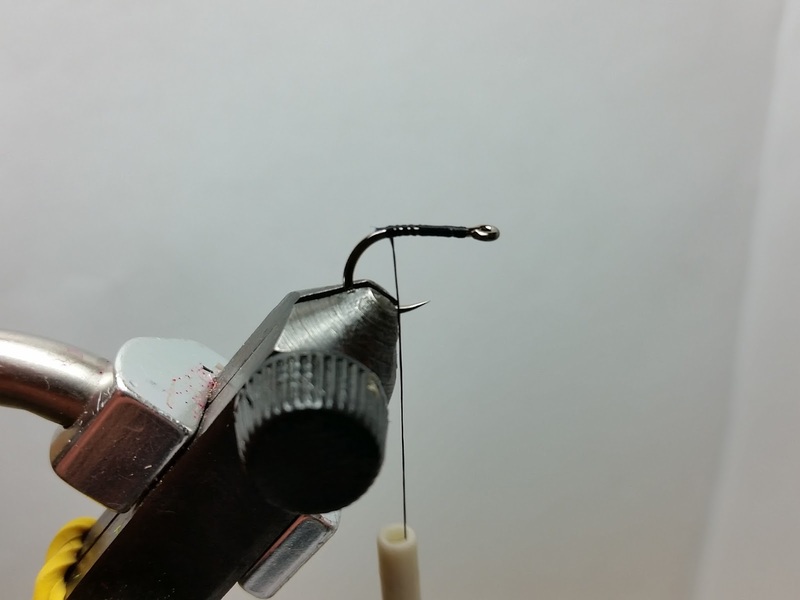 Fill the shank with building a slight taper. 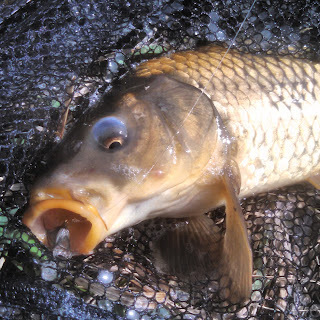 End one hook eye width before the hook eye. Lash down the prepped hackle feather at the tip. The curvature of the feather should be angled backwards. Palmer the feather one full rotation. 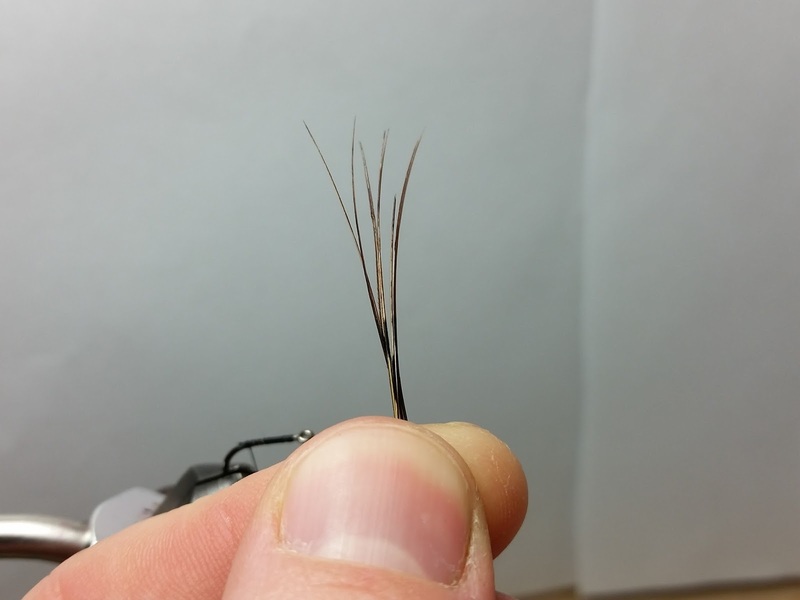 Lash down and trim the stem. Build a small head and add a whip finish.